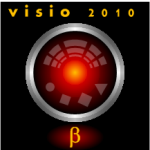 You are here: Home / News / Visio 2010 Beta: Sign Up Now! Visio 2010 Beta: Sign Up Now! Dave, I think it’s time for you to register. I think it would be best, Dave, if you would register for the Visio 2010 Beta. Note: the beta period for Visio 2010 is now over. The Visio 2010 Technical Preview has already been in the hands of wealthy corporations, MVPs, insiders and bit-torrenters for a few months. Now, after gathering feedback, fixing bugs and adding features, Microsoft is ready to release a beta to a larger audience! All you have to do is click the Send button and you’ll be registered! Thanks to Visio Insight’s alertness in alerting me about this new alert! Note: The Beta period is long since past!